Wyboston Lakes’ track record is second to none. As the UK's largest privately owned single site conference and training centre, we have hosted events of every shape and size for more than 30 years. That experience gives organisers the most valuable commodity of all … confidence. Though we’re on a single site - a centrally located, tranquil 380 acre rural estate between Cambridge and Milton Keynes - we actually have two distinct, self-contained venues, giving an unmatched spectrum of choice. Together, Wyboston Lakes Executive Centre and Wyboston Lakes Training Centre provide more than 60 event spaces for up to 270 delegates, with flexible day and residential packages that can be tailored to suit any budget. Both offer free Wi-Fi, with all the benefits of our 200mpbs broadband system, the fastest of any purpose-built conference venue in the country. The Executive Centre provides the highest standards of executive specification and exclusivity, with carefully designed interiors optimised for effective learning and communication. We have extended the flexibility and appeal of its meeting and relaxation spaces, through creating a dedicated organisers’ lounge. We have also invested significantly in the latest presentation and communications technology to ensure it remains state of the art and you can get the most possible out of your event. The Training Centre is an ideal base for learning and development, where value for money is the defining consideration, but where facilities must nevertheless provide a properly focused, uncompromised working environment. During 2012, we completed an extensive bedroom refurbishment programme to ensure that our guests enjoy the best possible stay they can as well as the new 250 seat Willows Conference Room which adds additional training capacity. 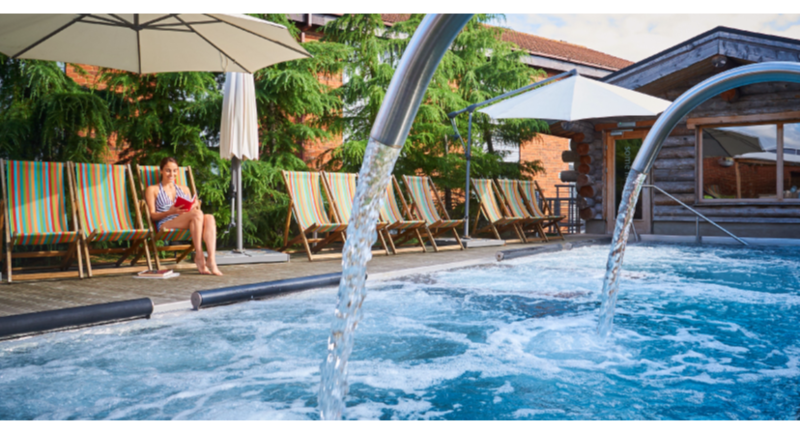 Another significant facility on our site is The Waterfront Hotel Spa & Golf, which provides extra leisure dimensions for all delegates. It provides additional restaurant options serving fresh food and an attractive lakeside bar and lounge with a view to soak up and unwind. We also have excellent leisure options, including an 18 hole golf course, a health and fitness centre and a luxurious Y Spa. All situated amongst stunning, landscaped grounds with large free car parks for all to use, Wyboston Lakes offers a complete experience and package to fulfil all your conference and training needs and make the organising of it as simple as possible. With easily accessible transport links and two flexible venues in one location, plus a whole range of leisure options you will find all need at Wyboston Lakes. Contact one of our experienced team members today to see how we can help. Wyboston Lakes – Why be anywhere else?